Objectives: The occurrence of postural and balance disorders is a frequent feature in advanced forms of Parkinson’s disease (PD). However, the pathological substrate of these disturbances is poorly understood. 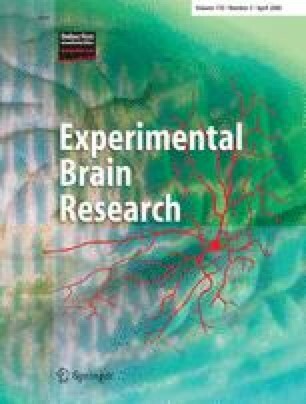 Methods: In the present work, we investigated the evolution of posturometric parameters [center of pressure (CoP) displacement and CoP area] and axial scores between the pre-operative period and 3 months post-operative in seven PD patients who underwent bilateral deep brain stimulation (DBS) of the subthalamic nucleus (STN). Results: After surgery, the patients leaned backwards much more regardless of the STN stimulation, suggesting that surgery could have a deleterious effect on postural adaptation. During the post-operative period, the improvement in axial and postural scores was similar under levodopatherapy and DBS. On the other hand, DBS of the STN significantly reduced the CoP displacement and the CoP area, whereas levodopatherapy tended only to reduce the CoP displacement and to increase the CoP area significantly. Conclusions: These data suggest that DBS of the STN and levodopa do not act on the same neurological systems involved in posture regulation. DBS of the STN could improve posture via a direct effect on the pedunculopontine nucleus, which is known to be involved in posture regulation.